At the turn of the year, Norway will formalize the separation of church and state that was initiated eight years ago by parliament. In 2017, 1,250 Norwegian priests and bishops will cease to be government officials appointed by the king, and the Church of Norway will become an independent business. “We are facing the biggest institutional change of the church since the Reformation,” Jens-Petter Johnsen, the head of the Church’s National Council, told Norwegian newspaper Dagsavisen. “The changes will create a clear separation between church and state.” Among agnostics and skeptics, this landmark separation has been widely criticized as insufficient, as the Evangelical-Lutheran Church will nevertheless remain Norway’s national church and will be supported as such by the state. Kristin Mile, the Norwegian Humanist Association’s Secretary General, argued that the rebranding of the “national church” was worrisome because it constitutionally connected the Norwegian people to a particular denomination. Pål Ketil Botvar, a researcher at the Institute for Church, Religion, and Worldview Research (KIFO) ensured that the Church of Norway is almost solely funded by the government, which will ensure that the separation will only be formal. Despite the special status of the Church of Norway, it is still rapidly shedding its flock, which is directly reflected in financial losses. Additionally, the record number of quitters has resulted in greater subsidies for proponents of other religions, most notably the Catholics and the Muslims. As of December 1, 2016, 40,000 Norwegians have quit the Church of Norway, which is a significant increase compared with last year’s “crop” of 15,486, which was also a record. The total number of members of the Church of Norway has thereby fallen to 3.76 million. At the same time, membership in religious communities outside the Church of Norway has increased by 11 percent and totals 622,042 people. While 56 percent of these belong to other Christian denominations, such as Catholicism, 24 percent are Muslims. 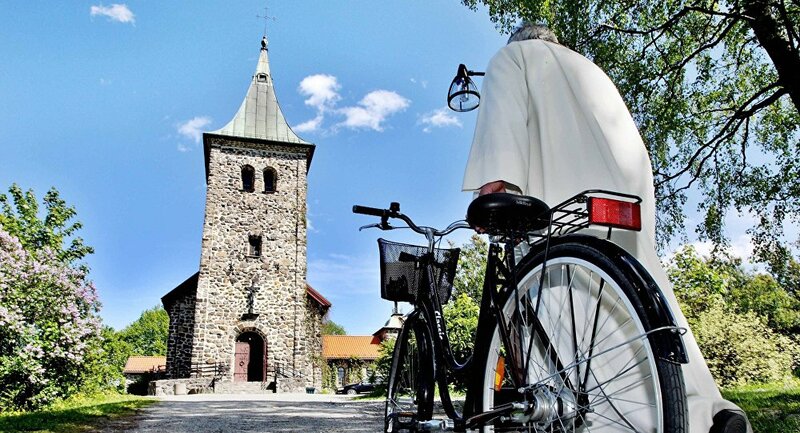 Since the state funding of the religious communities outside the Church of Norway occurs on a compensatory principle, registered Muslims, Catholics and other religious minorities are looking forward to a lucrative year, Norwegian newspaper Klassekampen reported. The connection between the number of registered parishioners and the amount of state support is known to lead to widespread cheating. In late November, the Catholic Church of Norway was fined over one million NOK (over $140,000) for fraud and was asked for 40.6 mln NOK ($4.4mln) in reimbursement. The Catholic Church of Norway is believed to have used the names of immigrants from Catholic countries (such as Poland) without their permission to secure additional state aid. As of the end of 2015, 72 percent of Norwegians were still registered as members of the Church of Norway, which nevertheless experienced a 13 percent drop in membership compared to 2000. Even though baptism, confirmation and wedding rites all play a strong cultural role throughout Scandinavia, Norway remains one of the most secular countries in the world, with only a fraction of the population attending church on a regular basis. Only 20 percent of Norwegians acknowledge that religion occupies an important place in their life. This entry was posted in News and tagged Ketil Botvar, Kristin Mile, NOK, Norway, Norwegian Humanist Association Secretary General by Orthodoxy Cognate PAGE. Bookmark the permalink.